Fans of the long-running multiple award-winning TV medical drama Grey’s Anatomy will get something new in the show’s 15th season on ABC: a gay male surgeon. 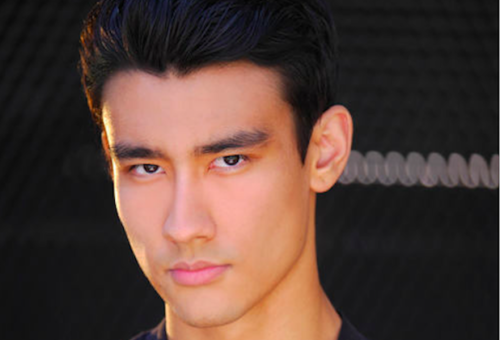 The part will be played by relative newcomer Alex Landi, who is half Korean and half Italian. It’s the first time the Shonda Rhimes show will feature not only a gay male surgeon, but – perhaps even more importantly – a gay, male surgeon who is also biracial. While it’s not the first time a gay man has played a surgeon on the show (the character of Dr. George O’Malley was played by out gay actor T.R. Knight), it is the first time a gay male character will be depicted in the drama in a contract role. The show, which began in 2005, introduced its first transgender male surgeon just last season. Grey’s Anatomy broke ground by depicting a realistic lesbian power couple via stars Sara Ramirez (Callie Torres) and Jessica Capshaw (Arizona Robbins) in their roles as gay wives, mothers and surgeons. Seattle Grace has felt the absence of their pivotal storyline following Ramirez’s departure a couple of seasons ago and Capshaw’s layoff at the end of last season. Speaking of Ramirez, she came out in her personal life in 2016 as bisexual and queer at Cyndi Lauper’s True Colors 40 to None summit. Ramirez now stars as a queer bisexual woman in the Tea Leoni fronted CBS drama Madam Secretary. Details about Landi’s character and how long his arc are being kept under wraps, according to TVLine. Grey’s Anatomy returns with a special two-hour season premiere on Thursday, Sept. 27 at 8 p.m. on ABC. Check out the original story here: LGBTQ Nation.